We try to do the best for parents but we never quite achieve their levels of greatness. 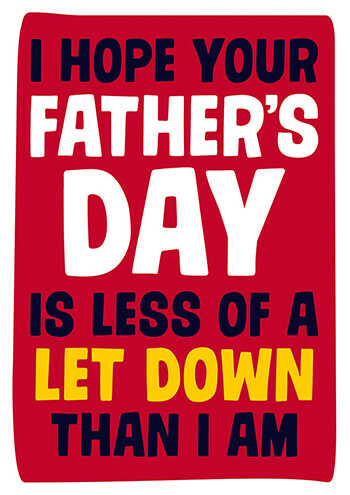 Takes a few years to realise this but once we all know here's the perfect Father's Day card to make it up to the big man. You got him a card so you can't be that much of a disappointment.